If you have just started an online business that retails mattresses, your business can benefit from having a third party logistics provider taking care of your fulfillment, packaging, warehousing, and distribution needs. At 3PL Center, we have developed innovative solutions for both newly launched and well-established companies. In the mattresses industry, brick and mortar mattress companies are no longer alone in the marketplace. 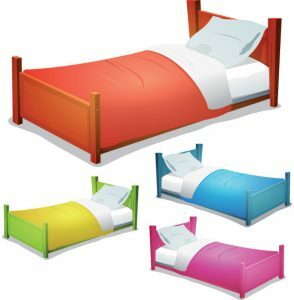 Today, a great array of online mattress companies can be found on the web. Recent studies have shown that nearly 7.5% of total retail sales were from e-commerce sales. With that in mind, an increasing number of mattress businesses are seeking ways to eliminate traditional retail costs, streamline their logistics processes, and develop an efficient supply chain. That’s where 3PL Center comes into the picture. As a 3PL provider, we can help you save a wealth of money and time for your company. Yes, just by outsourcing logistics! You never have to invest in warehouse space, transportation, and technology, if there’s no need to. What’s more, you never have to deal with paperwork, staffing, training, audits, and billing that come with carrying out the supply chain. 3PL Center executes those tasks for you. Why Choose 3PL Center for Your Mattresses Business? 3PL Center has a combined experience of more than 45 years, and has worked with an array of mattress businesses. We have amassed a wealth of experience from the past work projects we have completed – our work with small, mid-sized, and large organizations allows us to understand what your mattresses business needs when it comes to third party logistics. Warehousing: Your mattresses inventory is in safe hands at all times because we have a skilled material management team to control the storage and movement of your mattress products in our premium-level warehouses. Fulfillment: Our proprietary fulfillment software provides real-time monitoring capabilities. You can check the status of your mattresses stock anytime, anywhere. Start enjoying our affordable and scalable fulfillment service today! Distribution: Our dedicated fleet services are well-designed to overcome complex customer transportation challenges. Our innovative solutions will help optimize the entire distribution process of your mattresses orders. At 3PL Center, we want our customers to remember us for not only our stellar third party logistic services, but exceptional customer service as well. We want your experience of working with us to be profitable, productive, and enjoyable. Tap on our third-party logistics expertise today to start taking your mattresses business to the next level. To get started, simply give us a call at 732-391-2500 or send us an email at sales@3plcenter.com.